Recently a new book was published (2012) by Routledge NY which briefly includes Ananda Marga’s Neohumanist Education. It is already being used in various universities. The book is called, CURRICULUM IN EARLY CHILDHOOD EDUCATION Reexamined, Rediscovered, Renewed. It is edited by Nancy File, Jennifer J. Mueller, and Deborah Basler Wisneski. 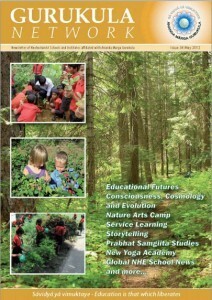 The inclusion is in the chapter, Silent Voices of Knowing in The History of Early Childhood Education and Curriculum and cites as references: Didi Ananda Rama’s book, Neohumanist Education: Documentation of Neohumanist Education propounded by Shrii Prabhat Rainjan Sarkar and Anandanivedita’s Teach Me to Fly.